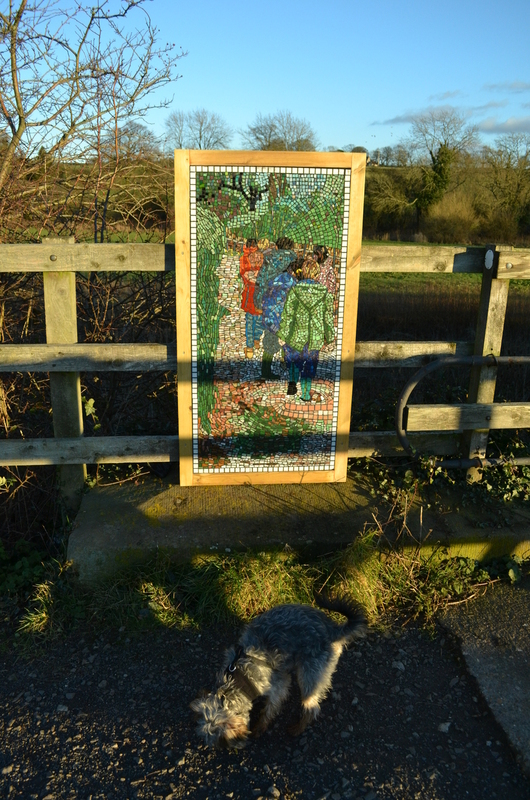 Along the Brampton Valley Way, just north of the railway station, his dogginess and I found another mosaic. I guess that a longer walk might discover more of them. I wonder who has made them. This one has a subject that I prefer. The rectilinear signal box doesn’t seem very well suited to the fragments of coloured tile, whereas figures and scenery do. The colours looked good in the horizontal January sunshine. We had a good walk along by the railway, passing, as usual, many other people and dogs who seemed similarly happy and relaxed. So far this winter hasn’t really bitten very hard. I would quite like a bit of snow to enjoy, but a mild winter is perfectly acceptable, too. What I don’t want is weeks of freezing north-easterly winds like last year. This entry was posted in Uncategorized and tagged Brampton Valley Way, dog on January 12, 2014 by baptissimo. 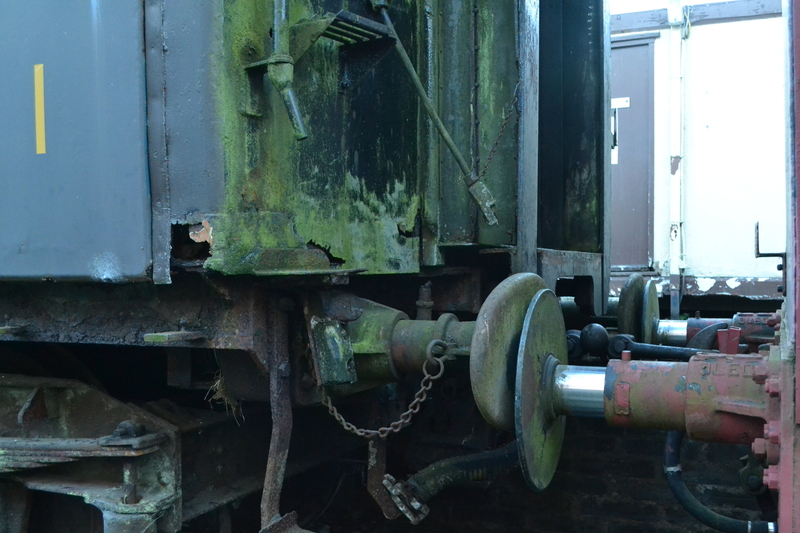 It was a community project with many people of many ages and skill levels being involved over the course of a year. Much time, love and volunteer input went into these. There are 12 panels and we are still trying to complete the installation but the weather has been against us. The youngest participant was 3 and the oldest 80. I was the artist who worked with all involved and Back To books is the group who raised the funding from Northamptonshire Community Foundation and The Midlands Cooperative Society and it was a follow on from a year spent exploring the Brampton Valley Way through, making, walking, textiles, felt, reading and photography. Many thanks for this post – and to Carole Miles, the artist, for her comment. 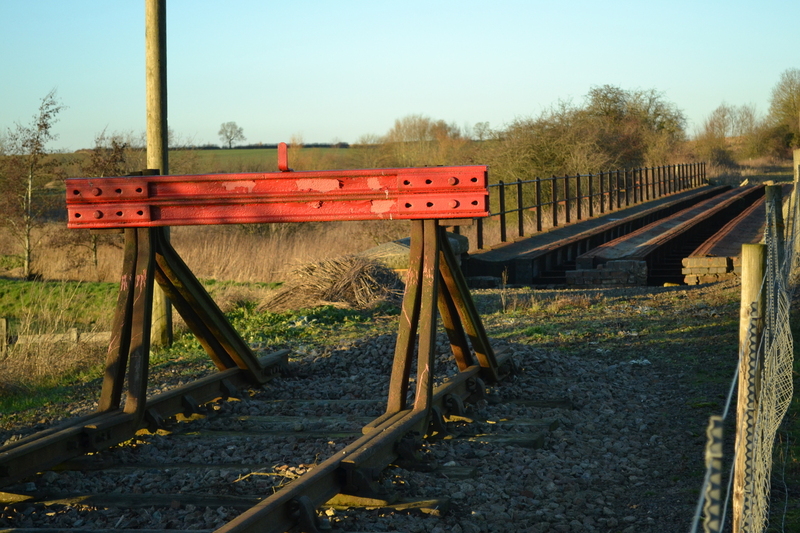 A simple photo of the signal box that I took and tweeted yesterday seems to have interested a good many people – and allowed me to tweet with Carole. 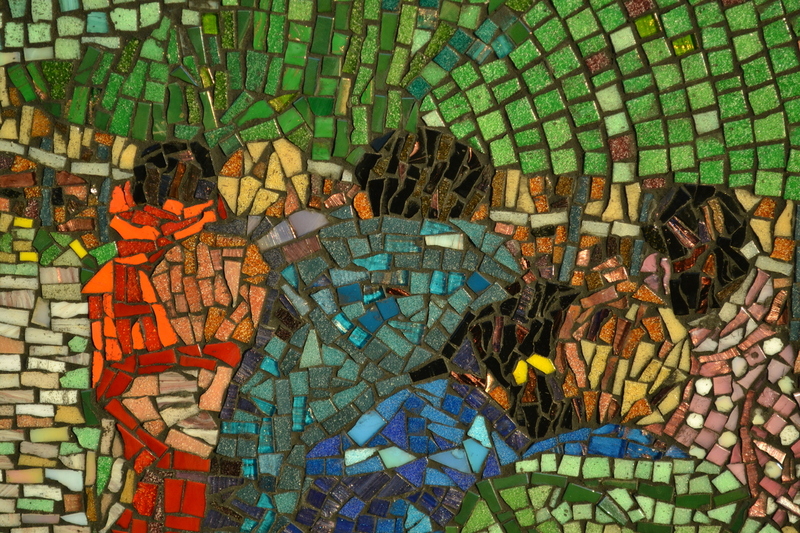 I asked three dog-walkers, “Have you seen the mosaics? Do you know where they are?”. No luck! But the first isn’t far along and, on my way back, I stopped and showed them my picture. I think they’ll be venturing further the next time they walk their dogs! It’s really good to have your post, Carole. Thank you for your work on the mosaics. I’ve only seen two of them so far, but I’m really pleased that the BVW is being enhanced in this way. Congratulations to you and the people who participated in this project. And I’m also pleased that it’s come out in this slightly mysterious way. I didn’t expect the mosaics. I came across them by chance, as I might come across a stoat, a heron or an orchid. I think that’s as it should be. They are embedded in the environment. There’s something to be said for a lack of publicity. And it’s got us talking on here, and talking is the beginning of community. I’m still looking forwards to finding some more of them!